German Chancellor Angela Merkel has been chosen to give Harvard University's 2018 commencement speech. German Chancellor Angela Merkel has been chosen to give Harvard University's commencement speech May 30. Harvard officials announced the selection Friday, calling Merkel "one of the world's most influential leaders" since she was elected her country's first female chancellor in 2005. Merkel was elected to her fourth term in 2017 but has said she won't seek re-election when it expires in 2021. 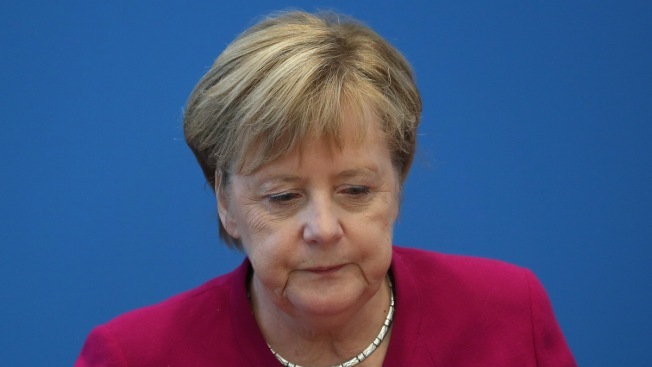 Harvard President Larry Bacow described Merkel as "one of the most widely admired and broadly influential statespeople of our time," adding that she "continues to play a central role in confronting some of the great challenges of our era." Merkel has received numerous awards, including the U.S. Presidential Medal of Freedom in 2011. Harvard's past commencement speakers include U.S. Rep. John Lewis and Facebook CEO Mark Zuckerberg.